UPDATED! Adonis, 2001 Sauvé W., 382-8606 (Ahuntsic)—Easily the city’s largest Middle Eastern specialty food store, Marché Adonis is also one of the city’s very best specialty food stores of any kind. Their selection is dizzying, their prices are very competitive. 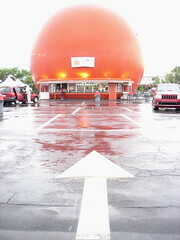 Now with locations across the metropolitan region, including one on Ste-Catherine near Atwater (2173 Ste-Catherine W.). Holy toledo! Shall I say it again? Holy toledo!!! Just wait till you see the second half. Say no more --- I'm already overwhelmed! I've just spent most of the morning reading your blog -- great stuff! It gave me a lot of ideas for my trip (I'm going with a foodie friend, and I'm pastry chef), and a lot of enjoyable reading. Problem is, I've got another deadline I'm trying to meet. And the additions make the list even better. 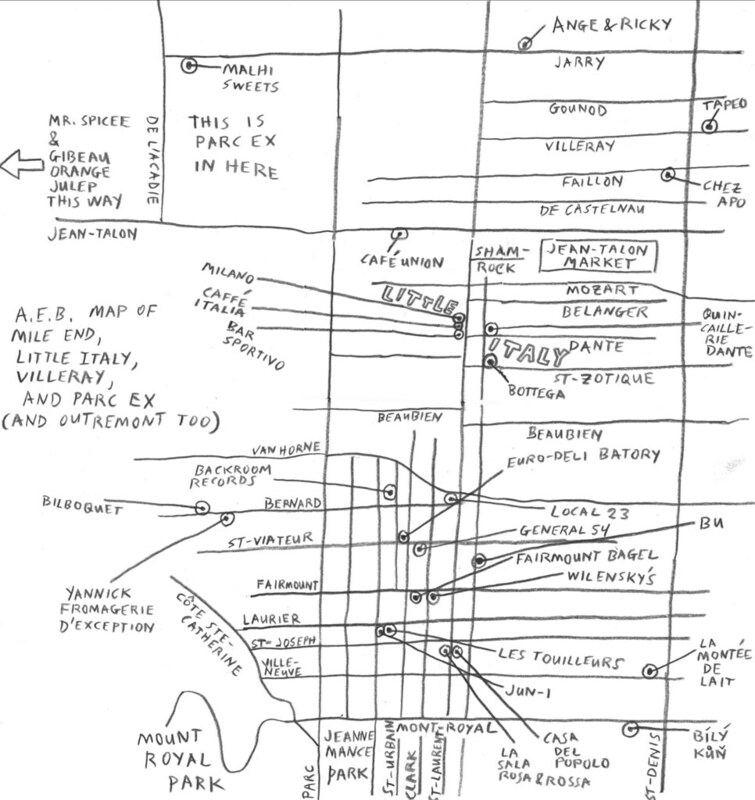 We have been in Montreal for five months and I ahve found this to be a great reference. We just discovered Milano this weekend and I second the recommendation. The comments that Schwartz's is the best smoked meat resto in town are so out of date and so incorrect that it's laughable. Schwartz's is resting on its laurels, having sunk to the point where all they serve is dry-as-a-bone fare... unless, of course, you add so much extra fat it's virtually uneatable. At this stage, I'd send someone to the West Island and Smoked Meat Pete's ("where you can't beat Pete's meat") if they want a good sandwich. Schwartz's was worth the abuse when it offered great food... now you're better off heading across the street for The Main instead! Sorry, but I thoroughly disagree. I've heard others issue similar complaints about Schwartz's but I've yet to have a dry smoked meat sandwich there. Is everyone ordering lean or something? Get a medium or, better yet, a regular/full-fat smoked meat sandwich and they're both plenty juicy and better spiced than any other smoked sandwich I've come across (although Snowdon makes a very fine smoked meat sandwich, too). The Main is fine, but not nearly as spicy/interesting/complex. Excellent after hours, though. I've yet to try Smoked Meat Pete's but someday I'll make the trek and check things out. We've been staying at an apartment hotel for five weeks on a business/vacation trip. We love to cook and prefer organic produce/products. We found an excellent store that delivers twice a week to our door, virtually everything we needed. Everything was first-rate -- the produce devine, a good variety of meats, lots of pantry items. Wonderful! It's called The Real Green Grocer (www.therealgreengrocer.com), and you just go online and all the items are listed there. You just phone your order in (very simple, very fast), although I think they are planning online ordering soon too. But, we didn't need that -- just work your way down the on-screen list or print it out, then phone your order in. For those who want first-rate organic products to cook with if you don't want to eat out every day (who does? 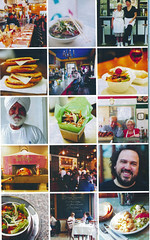 ), then check out The Real Green Grocer (514.486.2247 or www.therealgreengrocer.com). Great list. I'm a Vermonter but have been making increasingly frequent Montreal binges. Just curious, why no L'Express? That's a good question. One that can be answered by the fact that I only went there for the first time about 2 months ago, and Anthony has never been. I will add it soon. The marrow was excellent. Everything else was a little underwhelming. (Especially the fries.) It's a good place to know about since it's open late and the wine is priced on the lower end of the mark-up scale. Hope you've enjoyed your Montreal visits. Thanks, Michelle. Just went for the first time myself. I agree about the frites -- could be crispier -- but thought the wines, service, and general atmosphere made up for what seemed to me slight shortcomings in the food. Of course, two years in Burlington -- after NYC and SF -- has, sadly, lowered my culinary expectations somewhat. I used to go to L'Express often. The fish-soup, one of their signature dishes, is a pale imitation of what it used to be. Now, they cheese is already melted on the toasts, and the rouille seems non-existent. Quelle horreur ! The bone-marrow appetizer is OK, and they're ones of the few to have it. Hi it's Vancouver Islander back in town, and very happy to be here (visiting the city and your website), but I just had to alert everyone to the worst "fine dining" meal we've ever had. Saturday night we went to Chez L'Epicier in Old Montreal, and decided to splurge on the "surprise" tasting menus, at $75 each. We can't decide whether the food or the service was worse. The Zagat Guide just raved about it, and it seemed to be filled with lots of locals, so did we just get caught in the out-of-towner net, or what??? The tasting menu should have been called the tasteless menu, or the menu ordinaire. It started well enough but course three was a too-large portion of cold, greasy, leaden fois gras, followed by a nice, but unremarkable seared lamb. Then things just fell apart when the cheese course was served, a 1/4 inch thick slab of supermarket Gruyere topped by a scoop of vanilla ice cream (?!) with a Parmesan crisp on the side. At least we think it was Parmesan but it had virtually no taste, and the dish ingredients were not explained to us. Oh yes, it was served on a flat dish with no sides, the ice cream was already melting off the edge (then they took it back when they mumbling that there should be two (and brought the same one back (!) further melted, along with a different cheese course for my husband. The next two courses also featured ice cream (! ), one, supposedly fresh figs (not) on a biscuit (which we decided was like a Fig Newton without the flavour), and a deconstructed carrot cake, with -- yes, carrot ice cream. Again, no flavour, just deconstruction. The service: a real melt-down here too. We must have had at least 8 or 9 different people serving us that evening, yet they never poured our expensive bottled water, never asked if we'd like coffee (had to ask, twice), brought the wrong cutlery for many courses (how do you eat a 3 inch long biscuit with semi-dried, candied figs covered in ice cream with two soup spoons?). What could have been a serene or a festive ambience in the full restaurant (we'd take either) was marred by the place just buzzing with all the servers whizzing by bumping into one another, looking at our table and walking by, ignoring empty water glasses, and people sitting forlornly in front of food without utensils or liquids to assist them in enjoying the meal. Surreal. And for all that manpower, we were served many courses where the server simply mumbled one ingredient and then "I don't know what the rest is ..." Actually admitting they had no idea what some of the courses were. Noting that we'd been charged ($2.75) for a refill of our tiny coffee cups wasn't the end of the surprise "experience." No, as we fled the place, we were forced to run through a cloud of cigarette smoke as some of the kitchen staff were having a cigarette break -- right at the front entrance. We resolved to laugh it off, even though it was a lot of money and we're not wealthy, just enjoy good food. We'll long remember Chez L'Epicier, for all the wrong reasons. Wow love the list... have a lot of places to check out thanks to you... I see that you don't really have that many Italian Restaurants that you've reviewed. But I would love to share with everyone a lovely Italian Resto, that is not your typical italian food, it has a large variety of game meats: duck, venison, bison, deer etc... great fresh fish, and lovely innovative pasta and risotto dishes... Check it out its truly a gem to montreal... RISTORANTE VINO ROSSO, located in Ville St Laurent, on Henri Bourassa, near the intersection of Marcel Laurin. Check out their homemade bread, foccacias, and palate pleasing entrees, main courses and desserts. Not to be missed!!!! Hi - I just visited Montreal a few weeks ago and tried a few of the restaurants you suggested (La Paryse, L'Avenue du Plateau and Patati Patata) and all were just delicious. One question: I tried calling l'Anecdote to find out at what time they open (I tried several times) and there was no answer. Is this restaurant still open? Anyhow, thank you so much for making my visit to Montreal so enjoyable. It would have been a far different vacation if I had to figure out where to eat on my own! Next time I go to Montreal I definitely want to try one of the Portugese places. I live in Toronto which has many good restaurants, but I found Montreal to have much better lower-priced places than Toronto (and no tarte au sucre!). Sigh. Wow, a veritable flurry of recent comments! Vancouver Islander, now that's a comment! Very impressive. Too bad it was to report such a horrendous experience (although, thank god, it wasn't at one of our MFG recommendations). Anyway, I'm glad you had the moral courage to laugh off that meal. Sounded brutal. Can't say it's made us curious to investigate Chez l'Epicier. We'd heard rumors over the years, but I had no idea things had gotten that bad. Domestic Goddess Nat, thanks for the feedback and the tip. Can't say we make out that way all too often, but we'll keep the suggestion in mind. As for Italian on the list: check out our blurbs for Via Dante, BU, and Trattoria Senza Nome. We've also listed a number of Italian cafes, bakeries, pizzerias, and specialty food shops. Next Italian restaurant on our list? Da Emma. yeah, there's nothing quite like a tarte au sucre, or a pouding chomeur, for that matter. It's worth going to Au Pied de Cochon just for those two specialties alone. I'm glad the list came in handy. As you can tell, we're fond of the affordable restaurants too. That's one of the things we love about Montreal. Plus, for the price of eating at one of those big, awful "mid-range" chain restaurants (I always single out The Red Lobster, for some reason) you can eat at an absolutely top-notch restaurant here in Montreal. Our friends from New York in particular are always blown away by the steals to be had. Thank you so much for such a great list! Just got back from Montreal and visited many of the restaurants on your list and wanted to add my 2 cents. Au Pied de Cochon – This may be my favorite restaurant anywhere. We ate there twice over three days. We had we the poutine, a foie gras tart with apple sauce, and the raw foie with salt cracker. All were excellent, and the highlight of the meals. The fries on the poutine were nice and crispy the gravy was flavorful, the cheese provided balance, and the foie just put if over the top. The tart was sweet and I would have it as a last course next time. The raw foie with salt cracker was probably my favorite item (just edging out the poutine). You can really taste the rich creamy foie in this dish and the bed of warm mashed potatoes warms the foie just enough and provides nice balance. For entrees, we had the bison rib, duck in a can, and venison steak. The sauce on the rib was a tad sweet for our taste but still very good. The duck in a can was a bit over done for our taste but the flavors were excellent. The venison steak also had good flavors but a bit tough. I wish we had one more day, I would have came back and tried some more items from the foie gras menu. Schwartz – I totally agree with you guys on this one. The spices makes their meat special. The Main makes a good sandwich, and I would love to have a place like this close to where I live, but Schwartz’s is worth the trip and wait. La Banquise – Perhaps my expectations were out of whack after having my first ever poutine from APdC, but La Banquise was a real disappointment. The fries were not crispy, the gravy was salty, and the cheese was nothing like what was served at APdC. Les Chocolats de Chloé was very good but wow, expensive! I also enjoyed the thick hot chocolate from Juliet and Chocolate. I thought Suite 88 Chocolatier’s shooters were beautiful and fun, but the quality of the chocolate was not as good as Les Chocolates. Tri, I am happy to hear that you enjoyed most of our recommendations. Au Pied du Cochon is a must for anyone who hasn't been. Same for Schwartz. Les Chocolates de Chloe are on the higher end of the cost scale, but she uses Valrhona chocolate exclusively. If you've ever looked into buying a bag of it, you know why her costs are so high, but it is the world's best chocolate, and her bonbons are some of the best I've had. Finally, I am sure the order in which you hit PDC and Banquise was not flattering to the latter and has a lot to do with your impression. La Banquise has saved many a drunken soul from an impending hangover (poutine is a known preventative), and has cured at least as many. The best time to go? Deep winter, 3:00 a.m., too drunk to feel the cold: "It's hot outside!". Take a cab home. Hello anonymous, Christmas Day is a tough one, since most of the restaurants are closed. Perhaps those in Old Montreal will be open? Check GardeManger, I can't imagine a better place for teenagers. I have a feeling, though, that you might have to go with whatever is open. Good luck. Ate at Garde Manger (408 St. François Xavier) a week ago. Still salivating at the memories. Their seared foie gras with "peanut butter & jelly", invented by Hakim,one of the chefs, is, odd as it sounds, to die for. The short ribs melted in the mouth. Wine list was solid - we tried the Coppola merlot. Pb & j, huh? Cute. Thanks for the input, but GM will never see the likes of us again. Hi guys. I've been enjoying the pear-quince mostarda I got at Expozine. Haven't opened the oignons confits yet. Keeping those for a special occasion. Last night, some friends and I decided to finally take you up on the recommendation for the "best sushi in town" and went to Jun-I. We were not disappointed! Wow, rice crispies in sushi! Though you recommend sticking to the sushi and sashimi, we also tried several of their appetizers and were very happy with our choices. The beef tartar was amazing. But the number one hit of the evening was something they call the "mille feuilles", which is three layers of ris de veau, scallop and mushroom, served with reduced balsamic. It was so good we thought we were going to faint. On top of everything else, the service was excellent and our waiter was able to suggest two bottles of excellent white wine. It was a lovely evening. THANK YOU for constantly updating this list--as an Albany, NY resident (about 4 hrs away-sigh), I pretty much plan obsessively EVERY NIGHT in my head what I'm going to eat the next time I'm in Mtl. You are the queen of thoroughness and taste, and I am constantly amazed and delighted by your efforts. Am moving to Plattsburgh just to be closed to my fav. city! I've been going to a nice mexican restaurant that's been around for a few years in the centre-sud area, near the corner of ontario/iberville, called Guadeloupe Mexicaine. Good food, not too pricey, nice friendly atmosphere, owner often around to greet you personally. Definitely one of my favorite regular spots. You guys generally have great taste, so I trusted you -- but must disagree heartily about Au Petit Extra. Went there this weekend on your rec, and, wow -- bad! From the pathetic wine list padded with grocery-store plonk to the sloppy plating to the food that was like the worst kind of wedding banquet crap. I love classic, simple bistro food, and was terribly disappointed I hadn't gone with my heart and just gone to L'Express again, where they actually, like, care about things like food and service. Did we really go to the same place? But I hate wedding food with a passion so I feel for you. Don't tell me they piped the mashed potatoes with a star-tipped pastry bag. Horror. It is sad if it has gone downhill, it's such a great space. Why does Montreal have such mediocre bistros? Why? Thanks, Michelle. I know, it's a bummer. Maybe there were better menu items -- the foie gras app wasn't bad -- but the seriously overcooked pork chops, wrinkled haricots, and a piece of salmon sprinkled with what looked like canned black pepper and a round of plain white rice in the center of the plate were just sorry and depressing. P.S. Way to go with finally adding Restaurant Daou. Unpretentious and excellent, excellent Lebanese! Their fatoosh salad is best I've had anywhere. As Michelle mentioned, it's been a while since we've been to Au Petit Extra, but over the years we've been there at least 10 times with nothing but high, high marks to report, so, really, that was one of our strongest recommendations. We'll have to go back and see if there's something amiss. We've always found the wine list impressive, too (especially the extended, by-request-only one)--not the best in town, but still impressive. Au Petit Extra has imported many of their own wines for years and they've prided themselves on catering to connoisseurs (which is one of the ways they manage to keep their prices on their food so reasonable, I think). What exactly did you mean by grocery-store plonk? Did they have dep wines on their list? Anyway, we'll give it another look-see sometime soon. Thanks, AJ. You know, we could have ordered badly, but still, even the "wrong" things shouldn't be truly bad, which the main dishes really were. While there are some good wines on the list -- and I didn't know about the "secret" list -- I felt there was way too much undistinguished California stuff. What's a Forest Glen Merlot doing on a restaurant menu? I can get that at the gas station. One thing I liked about L'Express was the good variety of wine by the glass and half bottle, which is nice when there are just two people eating. Anyway ... you guys do a great job with the site. Thanks -- and let me know when you come to VT again and I'll show you a few places you missed and introduce you to some farmers! Have you visited BU or La Montée de Lait yet? Both have very interesting wine lists. I've also gotten some great selections at Au Pied de Cochon, especially the last couple of times, when I've thrown all caution to the wind and let our server make selections for me. We'd love to get some of your VT tips. How would we get in touch with you? Monte de Lait looks great, but haven't eaten there yet. APdC is next on my list. When you come to VT, email me -- can I send you that securely somehow? Hi, guys. As a regular visitor to your "List" for new ideas, I thought I'd let you know that Maison du Roti on Mont-Royal burnt down on Mar. 5!!! I live right around the corner from it and shop there all the time. Turned up there a few days ago with my trusty MDR canvas bag only to find the place charred and covered up with plywood. However, on the up side, they will be renovating and re-opening (no date yet), better than ever, if that is at all possible. You can always contact me there. Thanks for the comment. We, of course, have been mourning the loss of Maison du Roti for days and days--too busy mourning to update Maison du Roti's listing, apparently. Thanks for reminding us and giving us the latest. If you notice a reopening date before we do, let us know. Wow, oh wow. This is a great site and an amazing resource. Thanks for all the work it takes! This Main/Schwartz/Pete battle leaves me perplex. Just go to the three. Except for the cutting, Main and Pete are very similar to me. I would bet my next medium/fat they are both made by Quebec Salaison Smoked Meat (aka Charcuterie Nower) in Pointe St-Charles. As for Schwartz Laurels, I remember not too long ago being greated by 'What do you want' and not even bothering to try to speak french (no sir, those knifes at the cutters counter are very long). Things change. They even put a new coat of paint (I hear they had no choice, the ceiling was going down). I totally agree with you on Arouch. Looks to me they opened a much bigger place in Laval on St-Martin. Factory? 2 others excuses to go to Liège Street: Pâtisserie Mahrouse and the best souvlaki sticks in town at Boucherie Kydon (2 blocks from Arouch). You will never see butchers in basements the same way again. Pork sticks are 1$ and the chicken and lamb are 2$. Hey, bbq season is coming. OK after the second winter. What about Bistro l'Entrepot (or l'Entrepont?) on Hotel de Ville just a wee bit north of Mont Royal on the west side? A sign on the door says that it's been around since '86, but I had never heard of it before..
bad smoked meat certainly exists (in fact, it dominates), but you're not going to find it at any of those three nor at Snowdon Deli. And, yes, you're right, things certainly have changed at Schwartz's over the years, but, thankfully, much of the genius of the place is still intact. Thanks for the Little Belgium-related tips. We'd heard great things about Mahrouse, but didn't know anything about Boucherie Kydon (except for the fact that they were hauling in a whole lot of lamb as we passed by). We've been intrigued with l'Entrepont for a while. For one thing, there's that name. Then there's the contrast between it and that hideous office building across the street, which couldn't be starker. The Gazette gave it a favorable review not too long ago and the proprietor certainly is friendly--he came out to greet us one day when we were reading the menu/checking out the press clippings, said 'hello,' and gave us a couple of business cards. At the moment, that's all we know. We wish we had the budget to fully scour the city, but we don't. 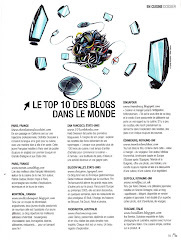 love the list, as a former montrealer this list whets my appetite something fierce. -where is la croissentarie on fairmont? if not for food/cafe, the ambiance. -watch out for the waitress at the main on late nights, she (perhaps justifiably) takes advantage of drunk patrons and will charge/take more money than listed. happened to myself and others on numerous occasions so watch your ruples. Hi, first off let me thank you for this amazing list. I'm quite the foodie and I've been to about half the listed places, so I know I can rely on you guys. That being said, Bottega pizza is highly overrated. The high temperature oven they use is obviously not being used properly. I just returned from New York City where John's Pizza has a 900 degree coal fired oven and where they truly know how to make real Italian pizza. There is no comparison. First off Bottega's pizzas are too small to really take advantage of this type of oven. At John's pizza they serve either 15 inch or 17 inch pizzas which can be shared. I hope someone can finally open a good pizza joint in Montreal, they'll make a fortune! A few short notes, if you hanen't already, you should try the roast beef at Magnan's (onm Wellington), best in town (on the condition one orders the rare, but who would be silly enough to order well-done anyways eesh). Also try the grilled chicken at Nostos (Acadie Boulevard), simply the best I've had in any town. Nostos also has the best gyro-pitas I've ever eaten. Their gyro-pitas have marinated lamb and pork, truly amazing. I have many more suggestions, but will first try out some of your suggestions and then post again. Thanks for the input. I've been to Magnan, but Michelle's never been. I've been meaning to take her for a meal and a brew. The original taverne section is definitely classic. Nostos is new to me. Sounds great. I'll go give it a look-see sometime soon. I hear you on the issue of Bottega, but no one that I know of has been arguing that Bottega is better than Joe's, or Di Fara, or Franny's, or anyone of a number of other NY insitutions, not to mention dozens of places in Italy, a number in the south of France, etc. Is there a better pizza in Montreal (and environs)? That's the issue. Bottega's my favorite at the moment and it has been since last December when I went knowing next to nothing about the place other than "there's a new pizza place on St-Zotique." Is Bottega serving a world-class pizza? It's at least worthy of consideration, in my opinion. Is there room for improvement? Sure. Among other things, it'd be nice if there was some real competition. Have I had better pizzas elsewhere, outside of Montreal? Yes. Feel free to send along any and all suggestions and tips. We love 'em. I an traveling to mOntreal on 7-30 for 8 days w/ family and celebrating my twins 8th birthday while there. Staying in The Plateau by La Fontaine Park- any great places you could recommend for a great dessert- ? Read your article in Budget Travel and will be using it to see the city's hidden treasures! Well, you could always visit Michelle and Patrice at Laloux (250 Ave. des Pins W.). There's no question they're serving some of the city's best desserts. You should definitely visit Les Chocolats de Chloé on Roy too (as recommended in our article). More crowd-pleasers: cakes and cupcakes at Cocoa Locale (4807 Parc). Have fun exploring Montreal. Hi, it is difficult to find a good pizza in Montreal, but Bottega is is not just average pizza, it's very expensive average pizza. Just across the street from Bottega, one can get a better and less expensive pizza at the very popular Italian eatery Piatto Pienno. I also know of one nondescript takeout restaurant that makes better pizza than Bottega and at a far far cheaper price. Only reason I ever discovered this place is that it is situated near my mother-in-law's house. It's one of those greasy spoon takeout joints that you'd never give a second look to, but somehow they make great pizza. The place is called Casa Tony, situated at 6363 Henri Bourassa East. Best thing is to order a pizza and go pick it up. You won't find fancy designer pizzas here, with exotic ingredients, but it is very well cooked pizza and very tasty. Thanks for another couple of good tips. I've been meaning to check out Piatto for a while now. Looks promising. Casa Tony sounds like a real Montreal find. I'll make a point of visiting them both sometime soon. I have to admit that I was disappointed with Bottega when they promptly raised their prices about 4-6 weeks after opening--especially when it was clear they were doing booming business. Previous to that their prices were actually almost competitive, at least by Little Italy standards. One Saturday a couple of weeks ago, with great expectations, my partner and I ventured to La Montee de Lait. We chose the 7 plate tasting menu. These menu prices set it to be judged by the finest restaurants, and by those standards I'd have to say it was very good, but short of being excellent. First of all, one thing I was not prepared for was the ambiance. The acoustics of the small wood room achieve a decibel level second to none, and was filled in tight capacity with a remarkably rambunctious lot! We had some trouble sharing that excitement when it became impossible to converse without moving to each other's ears to speak. For this reason, a few claims that this place is "romantic" are rather off. I'd have had more fun with a group of friends, perhaps. Even this would have been easier to endure were it not for the waits of 30 minutes between each small plate. My boyfriend was on the verge of his own personal "montee de lait" by the third hour! As for the dishes themselves, I was a little disappointed to find that the cheese theme appeared to have been abandoned, as it was part of my interest in going. First dish was a delightful oyster served on a half shell above a mound of coarse grain sea salt. Second dish was a refreshing cool pea soup with pork wrapped scallop. I appreciated the innovation in presentation of dish 3: an Illy espresso cup appeared beside two seared shrimp, the tiny vessel of a scrumptious shrimp bisque. The next two savory dishes were unspectacular. Fried quail leg was well executed but uncomplicated. Next was cubed rabbit in aspic, which lacked any distinct flavor - nothing offended the palate, but nothing impressed it either. The cheese dish (#6) was disappointing. An ordinary camembert, brie that didn't seem any more singular than a supermarket variety, a reasonably good tomme. I had anticipated better from a one-time "cheese-bar". The long-awaited dessert - a pot du creme with fresh raspberries was a sadly sour end to our evening. The simple creme was an easy pleaser, but the black raspberries atop (so rich with their own flavor) were drown in an overwhelming dose of cider vinegar. I will say the service was quite good and attentive, if the velocity is discounted. However, we couldn't wait by the end of our dining experience to escape the ceaseless cacophony of the place! The $200 bill at the night's close was a final touch. This is an indispensable guide to Montreal dining. I'm headed there. Thank you for Pt. 1! Job well-done! 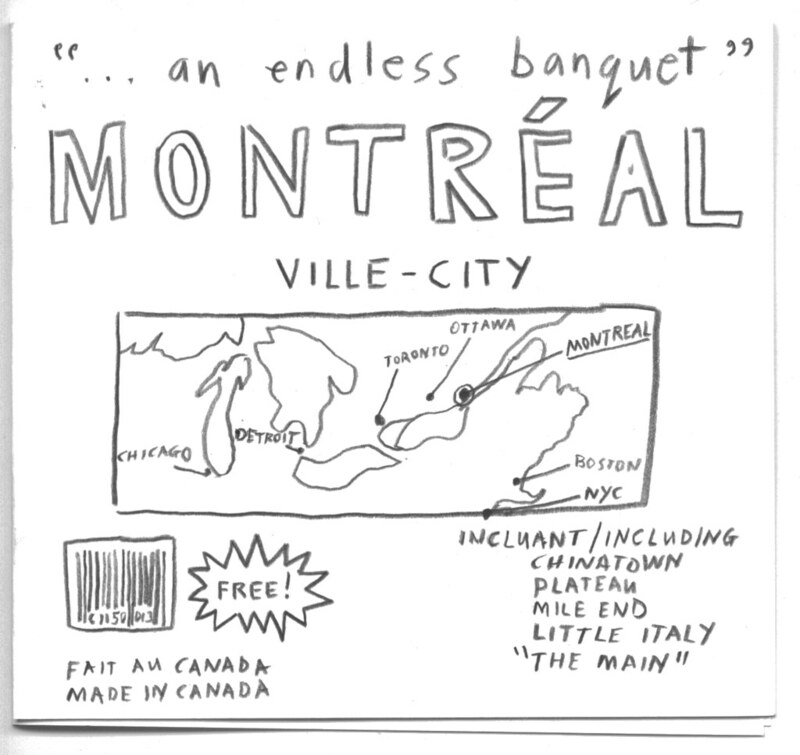 On a recent trip to Montreal, we took some of Endless Banquet's suggestions and went to the following: LaLoux, Pho Bang New York, Schwarz's, and Fairmont Bagel. Although all were delicious, our favorite meal was at Cafe Ferreira, which had excellent fresh fish, and vegetables so fresh, sweet and delicious, I thought that they had gotten them from the Green Market in Union Square in NYC. Do you have any recommendations for vegetarian friendly places in or near the plateau that also serve meat (and are really good)? Thanks for the great lists. The city's better restaurants will generally always have at least one vegetarian appetizer (usually more) and one vegetarian main, and many of them will fix up a vegetarian special upon request. But it's rare that one of these restaurants will be any more vegetarian-friendly than this. I'd probably recommend La Montée de Lait, which has a number of vegetarian options plus a great cheese selection, and their format (4 dishes for $40) allows you to mix and match any way you see fit. The city's ethnic eateries (everything from Italian to Lebanese to Indian) tend to be more vegetarian-friendly. KOKOROCO Restaurant at 6620 Blvd. Les Galeries D'Anjou in St. Leonard has the BEST charcoal grilled chicken in town! A whole chicken plus fries, salad, garlic gravy and bread for $15. so tender and spiced just right. They also sell filet mignon, roast beef and many other dishes. It's only a small restaurant in a little strip mall but you can also order out. No Dieu du Ciel? Really? Have you tried Dieu du Ciel? It's not on the list! One of my latest discoveries of Montreal is... Le petit Alep (brother of the restaurant Alep just next door that is open at night). It's a syrian/armenian restaurant located near marché Jean-Talon (191 rue Jean-Talon). It's really a popular place around so if you go for supper at Alep, you might have to wait, but for lunch at Le Petit Alep, it is a cute little bar-bistro that is just next to the restaurant with a cute tiny terasse. The price are really reasonable. They make their own cheese - kind of like a cheddar. Their soup that come with the "Menu du jour" is wonderful and you have to try one of their rose dessert (Hétalié and Metahalabié) or their crispy crepe with nuts and orange flower sirop (Atayef). For main course, I propose trying out their kebab khach-khach (it's made of spicy beef with a salad and a pita - for 6,75$ plus tax). You have to try their orange-mango-mint juice :) And look out, it's closed on Sundays and Mondays! we don't make it out to anjou all that often, but maybe we'll stop in a pay a visit to kokoroco next time we go out to buy canning jars. Thanks for the tip! thanks for the shout-out and welcome to montreal! we don't have too many micro-brasseurs on the list--we've tended to focus on the ones with exceptionally good food--but, yeah, we should probably add dieu du ciel!--among other reasons, it's right around the corner from us. Thanks for the comment. maybe you haven't seen the second half of the list, but Petit Alep and Wawel are mentioned there. We've been championing Wawel in particular for years. Petit Alep is a great tip for those wanting to make a day of Jean-Talon Market and Little Italy. Thanks for commenting. Can you recommend someplace near to Cirque de Soleil on Rue de la Commune for a pre-show dinner? Club Chasse et Pêche, DNA, and Graziella are all in the immediate vicinity, and all three are excellent. You can find links to longer reviews of DNA and Graziella on our sidebar and there's a mini-review of Club Chasse et Pêche in our A-Z. Have a nice time. Abu Elias, my latest gastronomic discovery, is right on Cote-Vertu in Ville St-Laurent. Surrounded by Lebanese bakeries, other sandwich spots and an upscale restaurant or two, Abu Elias stands out – the food prepared there is fresh, fantastic and cheap. Tastebuds and wallet, rejoice! 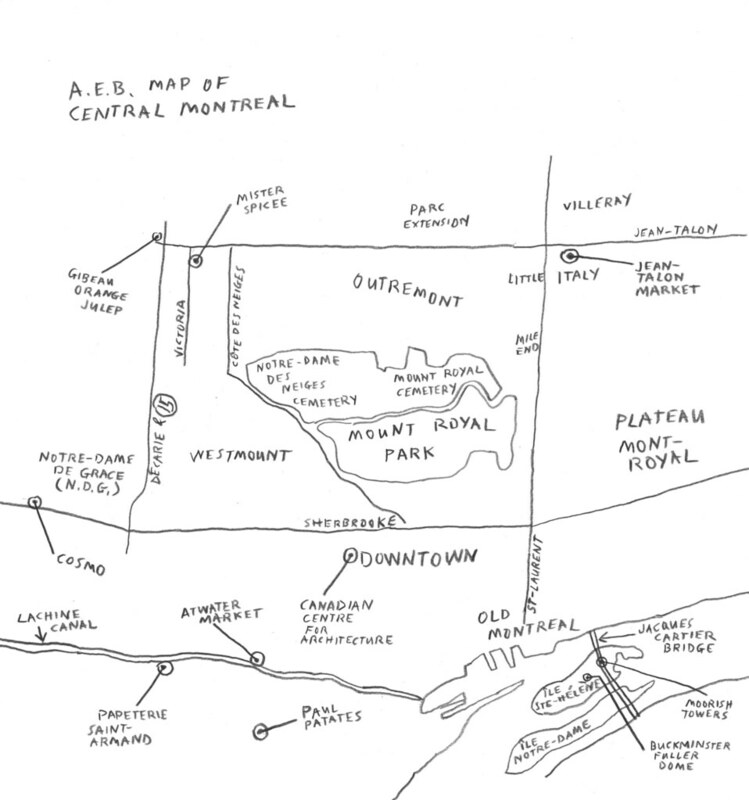 I was just reviewing the A-M list to check for new places and I notice that Anjou Quebec is listed as defunct. Last Saturday I was being driven along Notre Dame St. and saw that Anjou Quebec is open/will open there. If I recall correctly it was east of Guy St. 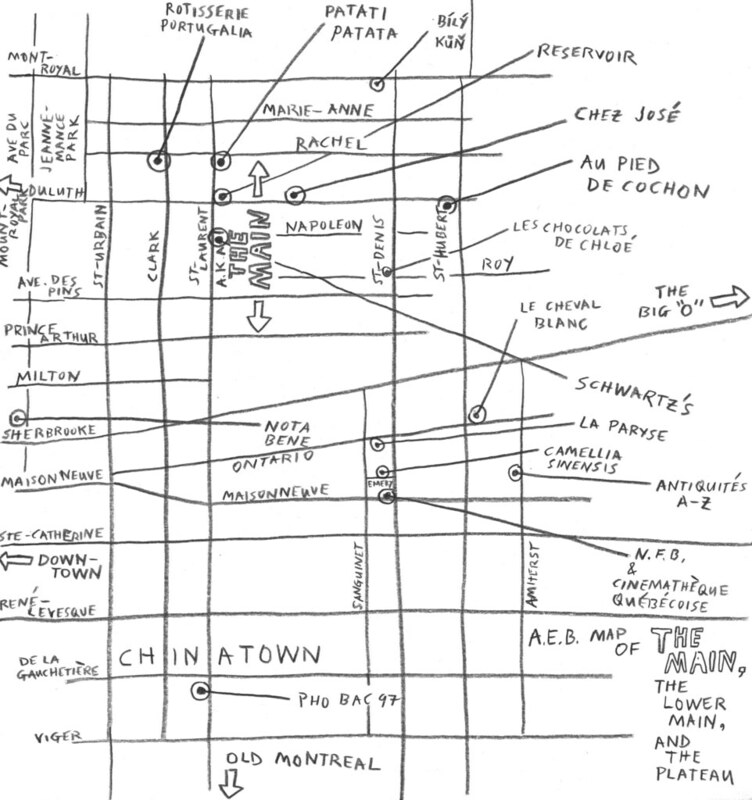 Awesome listing of Montreal restaurants. Spot on evaluations! Now, although Montreal is undeniably gifted by great tables (XO, La Montée, Raza, Nuances, Jun I, Toque!, Le Club, La Porte, Le St-Urbain, Bistro Cocagne..etc), I think it is about time that a new level of gourmet creativity hits this city, or else (apart those very few I've just mentionned), most of our restaurants will carry the reputation of playing it safe. When I see restaurants like Geranium or Herman (Denmark), QuiQue Da Costa (Spain), Oud Sluis (NetherLands) ... then I turn around and look at most Montreal restaurants with the 100th way of prsenting a lamb shank or a duck magret...I feel a bit bitter. Not that there's anything wrong with that, but adding here and there some daring modern touches of creativity would be a fresh breeze, here! I see that you're a former vegetarian, and I was wondering if you had some suggestions for veggie/veggie-friendly restaurants that it'd be a shame to leave Montreal without trying! I'm visiting from New York for a week, so am particularly excited to try local specialties or innovative restaurants. We eat eggs/dairy, and are excited to try out Fairmount bagels, the local cheese selection at the fromagerie you mentioned above, brunch at Reservoir, sandwiches at Cafe Santropol, and perhaps dinner or lunch at Kitchenette. We're also staying at a b&b with a vegetarian breakfast, so mostly looking for lunch/dinner/snack options. On messages boards people keep suggesting that most restaurants have vegetarian options on request, but are there any that you've found particularly good? Thanks for the suggestions! We aren't there yet, but will let you know how it goes. I'm really glad to see Kaza Maza on your list. Tried it yesterday and loved it. Looking forward to revisiting it and trying more dishes. I haven't tried Comptoir 21 yet, but it's a simple-looking fish and chips place. I haven't had a lot of good fish and chips in Montreal, so it could be worth a visit. MUST VISIT THIS LOCAL MILE END CAFÉ! I am really surprised that `le Zigoto`café is not on this list! It is not only one of Mile End`s sweetest and coziest hang-outs, but serves one of the best Organic Lattés around! The menu is varied and consists of panini, grilled breakfast sandwiches, homemade Mediteranean style soups and salad and one of the most delicious breakfasts/brunches I have ever had!! !